As its flagship vehicle, Audi's A8 luxury sedan for 2016 must contend with the likes of the Mercedes-Benz S-Class and BMW 7 Series. The conservatively styled A8 achieves this goal by offering a number of powerplants, including a high-mileage diesel, and a sumptuous interior. 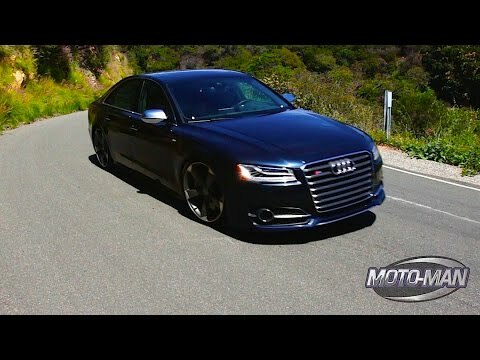 The 2016 Audi S8 elevates the performance quotient without surrendering any of the A8's notable amenities.